If you’re the proud parents of a toddler, you’ve probably been counting off “firsts” for some time now. First steps, first words, first tooth. But one first that you’ll want to plan for early on is your child’s first dentist appointment. Here at Badie Dental, we recommend that your child have their first dental exam either within six months of when they get their first tooth or by the time they turn one year old – whichever one comes first. So what can you expect at your child’s first dentist appointment? Here’s what you need to know. Once you’re at the dentist’s office, your dentist will provide you with a brief, one-on-one educational seminar to explain what normal dental development looks like, what problems may arise, and how to properly help your child brush and floss. This short conversation will also focus on topics like how fluoride strengthens your child’s teeth, why a high-sugar diet causes cavities, how giving your child a pacifier can result in improperly aligned teeth, what the proper flossing method looks like, and how you can help your child through teething. Your Tucson dentist will also review your child’s medical history, suggest an appointment schedule for check-ups, and answer any questions you may have. 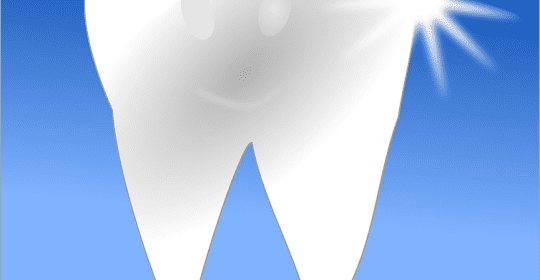 Your child’s first dentist visit will involve a short oral exam. The main purpose of this exam is to introduce your child to the concept of dental exams and ensure their first exam is a positive experience. Your dentist will instruct you to lay your child on your lap and will then count your child’s teeth. This exam will involve a few visual assessments to spot potential problems like abnormal jaw development. Your dentist may also show your child the various tools that dentists use in the course of an exam in order to get your child familiar with them in a safe, non-threatening environment. 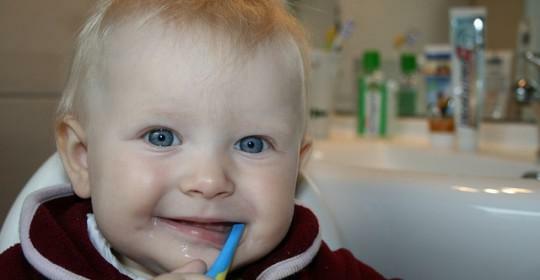 The final part of your child’s first dental appointment will involve a cleaning and polishing using a rotary toothbrush. This will give your child a sense of familiarity with toothbrushes while also ensuring your child has a clean, healthy mouth. If your dentist believes your child may be at risk of developing early cavities, this cleaning and polishing may also involve a fluoride treatment to strengthen your child’s enamel. At the end of the visit, your Tucson dentist may recommend steps you can take to wean your child off pacifiers. It’s important that your child has a positive first experience at the dentist’s office, and that’s why you’ll want to take your child to a dentist with a great bedside manner. Here at Badie Dental, our friendly staff members are highly experienced in creating a positive, comfortable atmosphere that your child will love. To learn more about our pediatric dental services, or to schedule an appointment for your child, call Badie Dental today at (520) 433-9800.